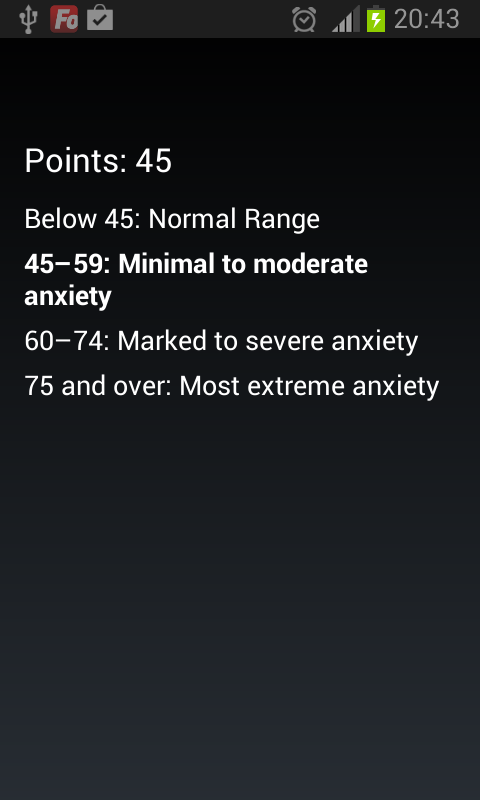 This is the Zung Anxiety Self-Assesment Scale, that allows anybody to test if they might have anxiety. You'll be asked 20 questions, choose one of the four alternatives for each question. 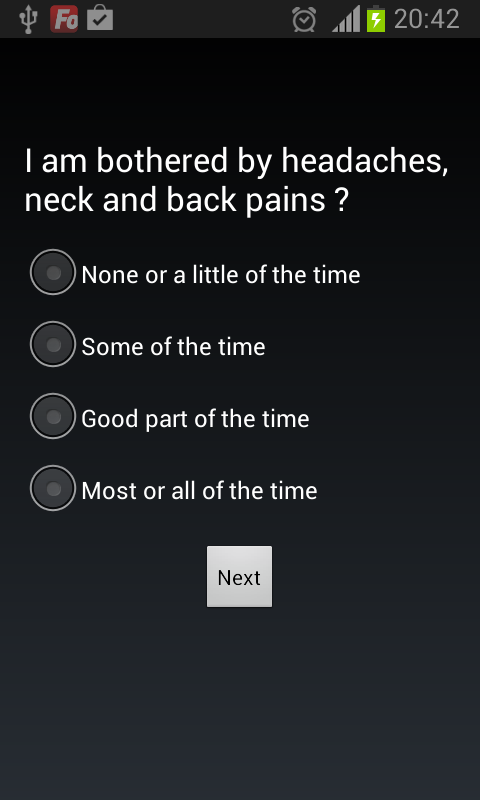 Don't take any drastic measures based on this test, always contact your doctor to get an accurate diagnosis! Sit back. Relax. Add some calming ambiance to your surroundings with Rainy Day.